Recently, I gave a talk to a group of entrepreneurs on the topic of names and slogans, as they relate to both companies and brands. As we were exploring some notable branding successes and some miserable failures, I couldn’t help but notice some uneasiness on the part of certain individuals in the group – especially the younger ones. The cognitive dissonance resulting from observing successful branding choices stemming from smart, logical, and carefully crafted plans on one hand, while other successful branding choices seemingly pulled out of thin air (Häagen-Dazs, for example) on the other, was evident. Some business owners, and even some marketing people, are hoping to be given a precise recipe or formula that would guarantee successful marketing outcomes. In the case of the class I taught, some participants hoped to be handed a list of variables and a set of instructions that would yield the perfect name and slogan for their company. We live in a digital world where practically everything is measured and tracked. However, we sometimes make the mistake of believing that flipping this process upside-down will tell us, in no uncertain terms, what we should do. In other words, because we can measure the outcomes of certain marketing efforts, we assume that in order to ensure identical outcomes, all we need to do is repeat the process. We can only wish this were the case. Just because Häagen-Dazs is a made-up word with no meaning in any language (using our previous example), it doesn’t mean that making up a strange-sounding name will secure the creation of a successful brand identity for a new ice cream company, or any other company. Alas, there is no exact formula for everything in marketing. The reason is that we don’t know of all the variables that contribute to all outcomes, and their correlations. And even if we did figure out all variables in a particular instance, economics, demographics, weather, and a slew of other conditions constantly change the circumstances we operate in, and subsequently influence outcomes. Simon Consulting is the premier provider of complex financial and litigation consulting services in the Southwest. The firm is considered by many as the authority for forensic accounting, fraud investigation, damage calculations, receivership and restructuring, business valuations, family and criminal law matters, forensic economics and expert witness services. Simon personnel has provided expert testimony regarding fraudulent transfers, damages, solvency, forensic accounting, alter ego, lost earnings, business valuations, and other matters hundreds of times in both State and Federal courts. 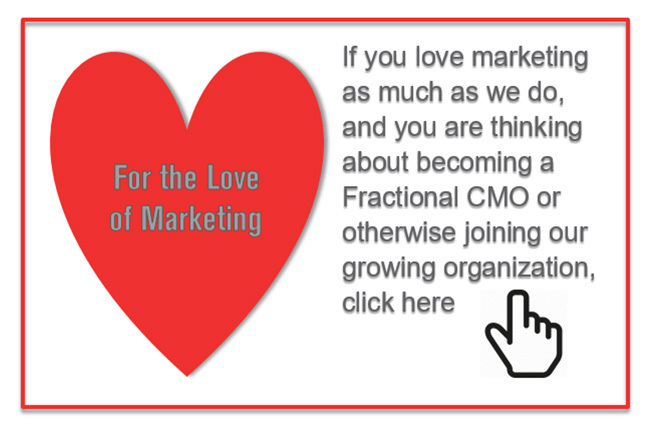 After growing very fast, but organically, since its formation almost two decades ago, the founder and managing directors decided that marketing of the firm needs to be planned more deliberately, professionally managed, and better controlled – they hired Fractional CMO to help. Fractional CMO started by analyzing Simon’s strengths, identifying its differentiating advantages, and profiling the firm’s target markets. Based on that information, the firm’s branding components have been refined, and now we are turning to pursuing marketing efforts directed at the desired client segments. To learn more about the fascinating work Simon Consulting does, visit their website by clicking here. 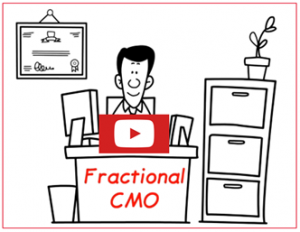 If you’d like to learn more about how Fractional CMO is helping Simon Consulting and what we might be able to do for you, give us call at 888-412-2236 or click here.